Having only opened up to tourism relatively recently, much of Burma (Myanmar) still feels positively undiscovered. Explore this incredible country and discover unspoiled landscapes, learn about cultural traditions, and meet the friendliest people. We’re delighted to offer a range of small group tours and self-guided itineraries to Burma (Myanmar), and our knowledgeable team are on-hand to help you plan an unforgettable trip. Our 13-night Beautiful Burma small group tour takes you to the heart of the country. 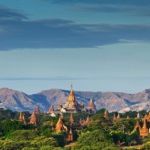 Look over the pagoda-studded plains of Bagan, weave through the waterways of the Inle Lake stilt villages and explore the city of Mandalay – made famous by Rudyard Kipling. 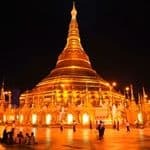 The breathtaking golden Shwedagon Pagoda awaits in the city of Yangon, and in Kalaw you’ll learn about this mountain station’s colonial history and meet some happily retired elephants. Can’t quite stretch to 13 nights? Our 9-night Burma Unmasked small group tour travels to Mandalay, Yangon, Bagan and Inle Lake, as well as visiting Monywa, home to the second tallest Buddha statue in the world. A number of meals are included in both of these tours, giving you plenty of flexibility and free time should you wish. There is a maximum of 14 people on our small group tours, each with an expert tour leader, and we only have two departures each year so don’t spend too long mulling it over! 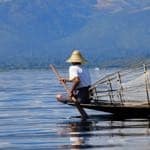 Find out more about Burma, our full range of small group tours and our solo traveller trips throughout Southeast Asia.